It’s that wonderful time of year where couriers work extra hard to get packages to your customers on time for the holidays. Below is a list of holiday shipping schedules and deadlines for Australia Post, Sendle, FedEx Australia, and UPS Australia. Read through the article to learn more about your posting and parcel options this season. 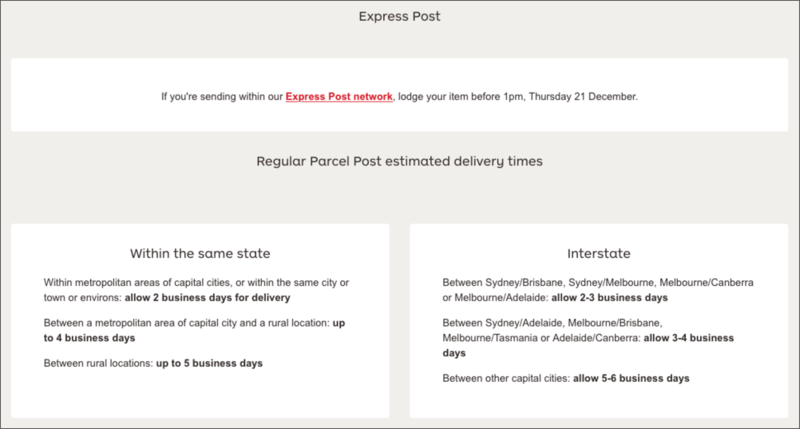 For more details about Australia Post holiday delivery schedules, click here. For more details about Sendle holiday shipping deadlines, click here. 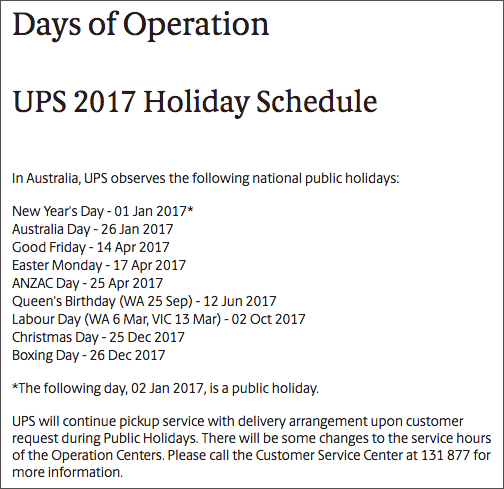 For more details about UPS Australia holiday schedule, click here. For more details about FedEx Australia holiday shipping schedules, click here. From all of us at ShipStation, we wish you happy shipping this holiday season!